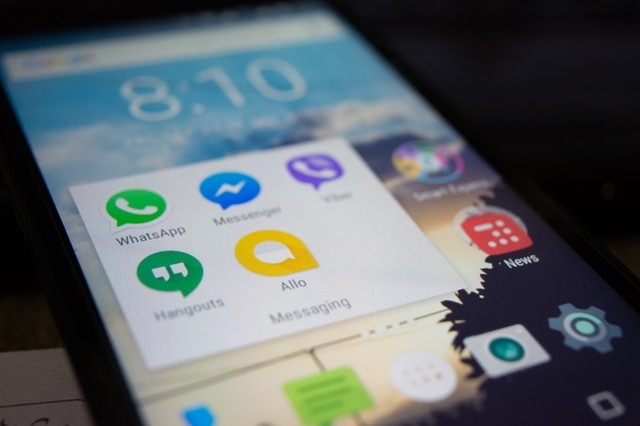 A Facebook Messenger app could be a waste on your phone if you are not using it often. That is because it uses that space on your phone which you could use for something else. You might not be even aware of the fact that Facebook forces you to download it. When you first try to chat with someone using their Android app, it will force you to download Messenger app. Well, fair enough for the company because its their product. However, not good for you if you can use it natively from inside the main app. Now there are few ways to use FB Messenger on Android without installing it. You can either use mobile version of the website or you can use their lite version app. However, if you wish to use it with the regular app then this guide is for you. Thanks to the developer “lorantm” at XDA who has found the workaround for this. He has developed a Facebook Patcher(Java application) with which you can patch the latest Facebook app. It ultimately makes the Messenger accessible to you. Step 1: Extract apk of the latest Facebook app for Android. You can refer to my YouTube video for this. 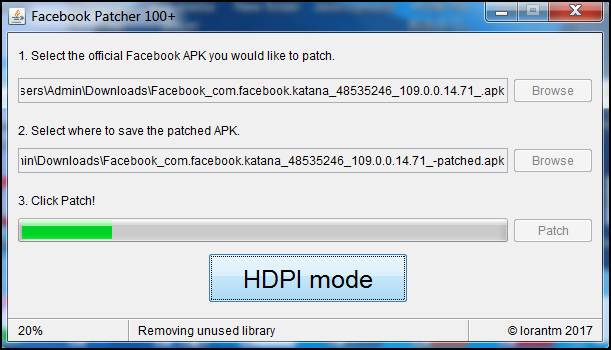 Step 2: Download Facebook Patcher 100+. Its a Java application so you will need Java Runtime on your PC to open it. Step 3: Open the Facebook Patcher 100+. Step 4: Select the official apk you extracted in the first step. Select the folder where you want to save patched apk. Step 5: Click patch and transfer the new apk to your Android phone. You will have to uninstall official Facebook app in order install patched one. Both of them will not work together. Once you install this patched version of the app, you will be able to message anyone right from inside the app. You will be able to save that 40-50 MB which otherwise is occupied by the Messenger app on your phone. Although you may not get all the functions present in the official Messenger app, you will be at least able to message anyone. Which is more than enough for any normal user. Functions like voice or video call may not be accessible. However, its good to go if you don’t use them much. You can refer to the XDA thread by the developer where he posts about previous versions which are compatible with specific features that you are looking for. You also don’t have to worry about any security issues as patching is done just to make the Messenger available. Removing unnecessary applications from your phone improves the performance of your phone. It makes it faster and also leaves the space for other useful apps. Facebook is probably the most active app inside any Android phone. People have been complaining about it from the start. Unlike most other apps, Facebook has the most background processes running in Android phone. So does it apply to the Messenger app. So why not uninstall it and use it natively? Try this and see how it works for you.